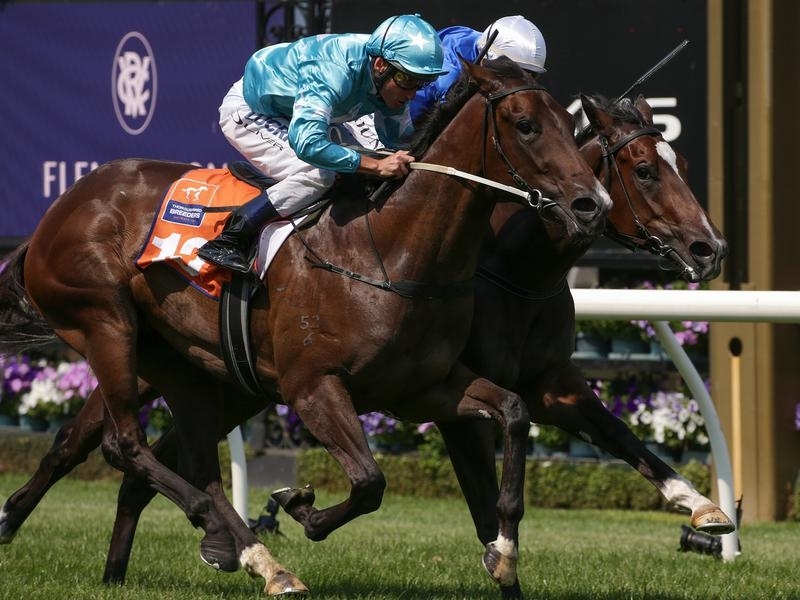 Trainer Mick Price said Ready Set Sail is destined for a Group 1 spring campaign after she collared Flit in the TBV Stakes Gr.3 at Flemington on Saturday. 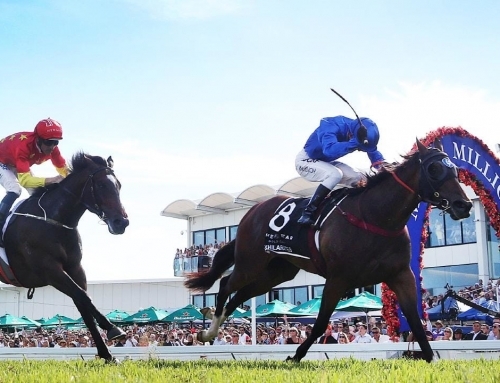 The More Than Ready 2yo filly reeled in the leaders from last at the furlong for a split-decision down the straight-six. The judge was unable to separate the More Than Ready filly and Flit (Medaglia D’Oro) who had kicked clear close to home. They spaced the other youngsters with the favourite Talented (Snitzel) next best three lengths in arrears. Ready Set Sail becomes the 192nd individual stakes winner for More Than Ready. 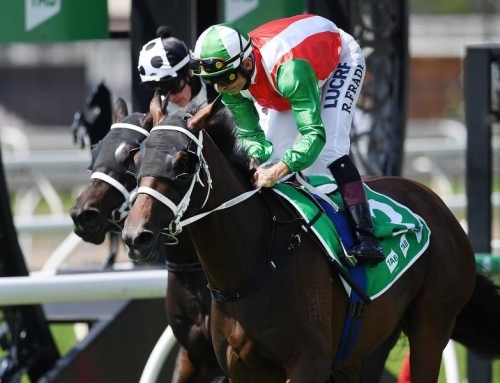 His Vinery associate All Too Hard was also credited with a black-type win last Saturday when Frosted Gold dead-heated for first in the Storm Bird Stakes LR at Turffontein. 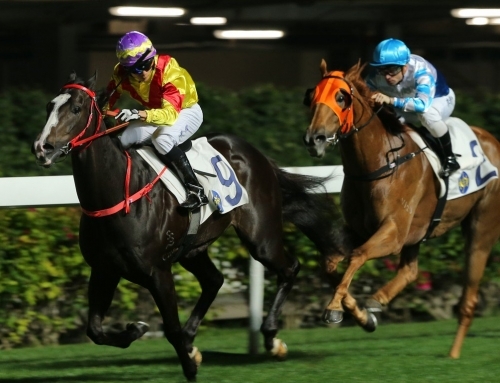 Ready Set Sail had run home nicely behind Lindsay Park colt Exeter on debut in a Sale maiden last month and Price wasn’t fazed by the steep rise in grade. 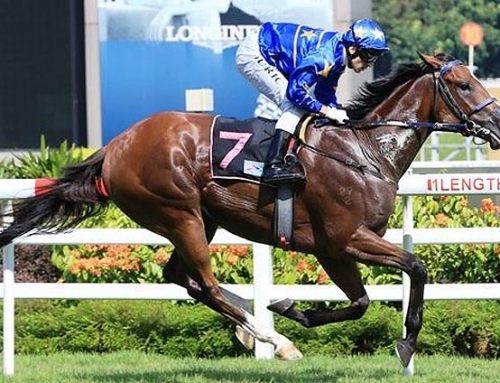 “She’s a beautiful scopey, clean-winded filly and we will come back in the spring for the Thousand Guineas (Gr.1). Victorian based Bill Frost bred her under the Pendant Equine banner with his wife Pat, daughter Cass and son-in-law Anthony Ballard. They raced her dam Jolie Brise (Fastnet Rock) to wins at Caulfield, Moonee Valley and Sandown on the way to a close-up fourth in the 2009 Thousand Guineas. She was covered by More Than Ready in 2015 and returned to the Vinery legend for a colt foaled last September. Frost has taken advantage of the celebrated More Than Ready cross with Danehill-line mares and so have numerous vendors ahead of the Inglis Easter Yearling Sale. 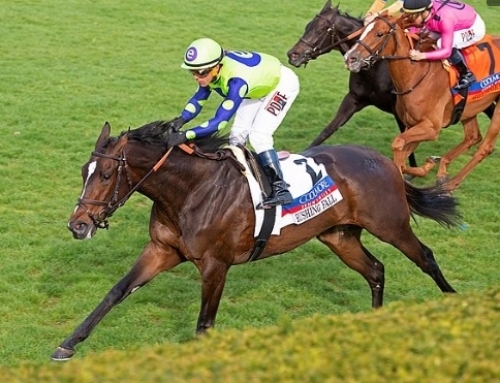 Vinery (as agent) leads the way with three entries at Riverside Stables on April 9 and 10. 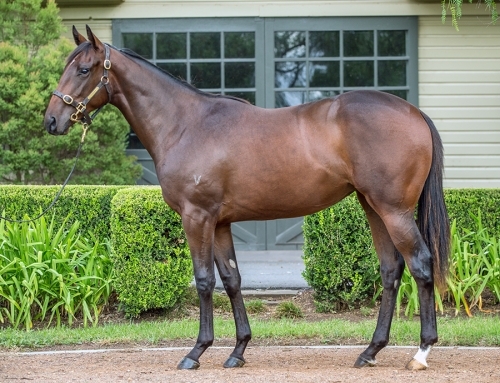 Lot 225: More Than Ready colt from River Tay (Flying Spur). Dam a three-quarter sister to Alverta (Coolmore Classic Gr.1). Lot 238: More Than Ready filly out of Sacred Choice (Choisir). 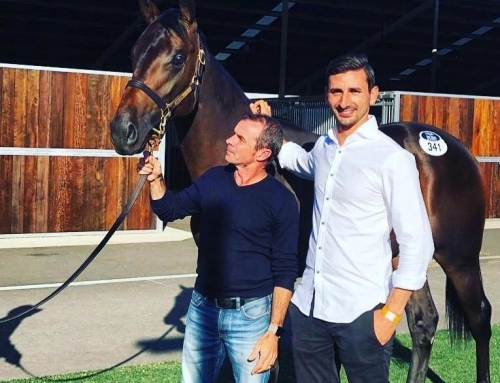 From a Group 1 winner of the VRC Myer Classic and ATC Doncaster Mile. 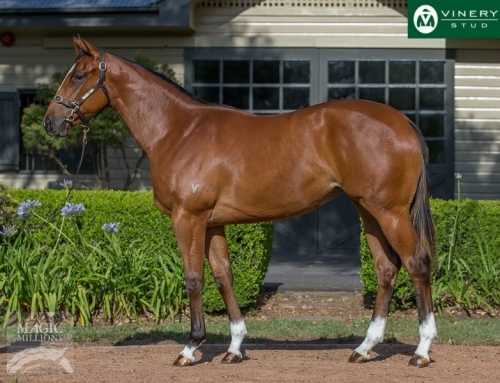 Lot 251: More Than Ready colt from See The Music (Flying Spur). Dam a sister to Australian 2YO and 3YO Group 1 Champion Mentality.